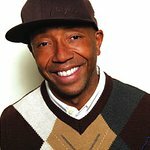 One lucky bidder will have the chance to stretch their limbs with Russell Simmons at a private yoga lesson in a new charity auction the hip hop mogul has launched on eBay. The 50-year-old has launched the auction to raise money for the Rush Philanthropic Arts Foundation, a charity he established to provide arts and education programming to New York City youth. Over 75 items have been donated to the auction by a variety of celebrities, all of whom want to reach out to urban youth and offer personal testimony to the transformative power of creative expression. As well as the yoga opportunity, items up for auction include a one week internship with Simmons at his executive office, a personalized George Clooney cell phone, the chance to meet Alicia Keys, Snoop Dogg, and Dionne Warwick, the opportunity to attend a baseball game with Petra Nemcova, and a personal rendition of Happy Birthday from John Legend. The auction runs until July 24, and can be accessed through Charity Buzz.